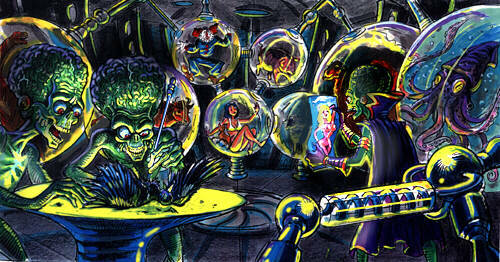 You Have Arrived In VONSHOLLYWOOD / Storyboards / Mars Attacks! MARS ATTACKS! concept drawing by Pete Von Sholly.